Historic handshake for China and Taiwan Jump to media player The leaders of China and Taiwan hold historic talks in Singapore - the first meeting between the two sides in more than 60 years. A 'handshake for the history books' Jump to media player The presidents of China and Taiwan meet for the first time since the Chinese Civil War finished and the nations split in 1949. China and Taiwan in trade talks Jump to media player China's President Xi Jinping meets the head of Taiwan's ruling party later on Monday in the highest level talks between the two sides since 2009. 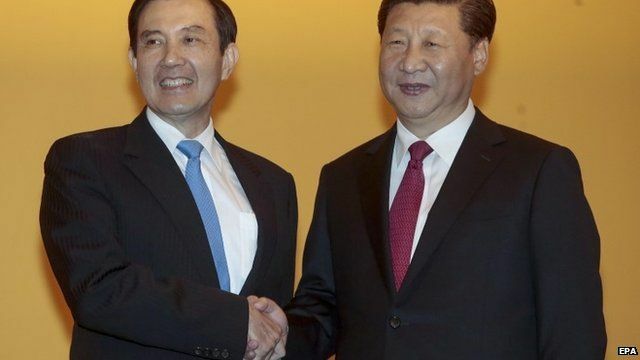 China and Taiwan in historic talks Jump to media player China and Taiwan hold their first government-to-government talks since the end of the Chinese civil war in 1949. What will China-Taiwan talks achieve? 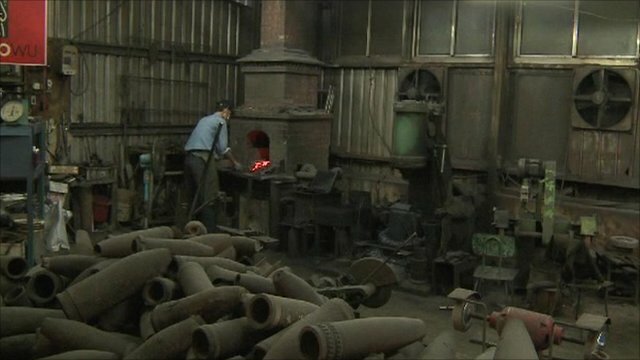 Jump to media player As China and Taiwan begin their highest-level talks for decades, the BBC's Celia Hatton in Beijing and Cindy Sui in Taipei discuss their significance. China and Taiwan relations 'improving' Jump to media player Relations between China and Taiwan are said to be at their best since the civil war ended in 1949. Karishma Vaswani reports from Singapore.